José Mourinho granted an interview to the newspaper ABC and revised the period of Real Madrid. The Portuguese trainer stressed that ” no trainer had managed to gain a championship garter belt in three big Leagues. It was a target that it had. I have two years of contract with Real Madrid, my family and I are glad to have a stability “. The technician luso also had words towards Pep Guardiola and said that ” it is not normal to sell an image of perfection and later, in the end, none is perfect. I never sold an image of perfect. 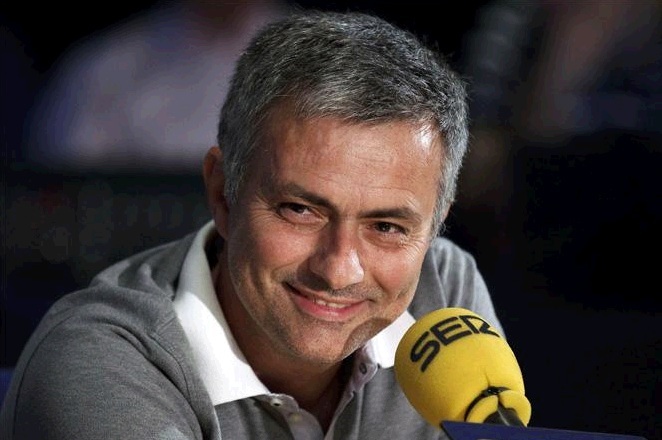 On the game of the Barcelona and of Real Madrid, Mourinho made sure that ” I love myself the nice game of my team. I do not like the wear of the adversary for the possession of the ball “. In other one of the plots at which it is employed the white set is in the portería. Mourinho confirmed that Adán is not going to continue because he wants minutes, from what Madrid will have to look for competition for Iker Casillas. ” Doorman looks for Real Madrid because Adán does not want to continue. My work is to convince him so that it remains. We must give him more parties, promise him the Glass “. On the future Ball of Gold, José Mourinho stressed that “: who gained the most important League of the world? I christen. Who gained the Champions? None. Who deserves the Golden ball? I christen “. The old brother of Higuaín, Federico, who plays of midfielder in Columbus of Santa Fe of Argentina, has declared: “My brother Gonzalo does not go away to go of Madrid. It is very comfortable and super calmly here, where it is very dear. For the time being it does not go away to go ‘. On the relation that Gonzalo has with Mou he assured: ‘”The press is much spoilt. Not everything what the newspapers say is true”. Arsenal manager Arsene Wenger has dubbed Real Madrid and Barcelona as “super favourites” to win the Champions League. The Frenchman does believe his Gunners side have the ability to win the trophy themselves but knows his team is no more than outsiders at the moment. The current European champions Barca are three points behind Jose Mourinho’s Real domestically in La Liga, with the capital side also having a game in hand. Arsenal, meanwhile, have already qualified from the Champions League group stage, and face Olympiakos in the final game on Tuesday night. “At the moment I would say in Europe there are two super favourites – Barcelona and Real Madrid,” Wenger told his club’s official website. “Behind them, everyone else can hope to win it and we will try to win. “At the moment we are not one of the favourites but one advantage we have is that we have finished top of our group. Xabi Alonso feels that Real Madrid have made a step forward this term and is eager to keep up their good run of form. Madrid have impressed in the opening months of the 2011-12 campaign and currently sit atop the Primera Division table with 34 points from 13 games, three points ahead of Barcelona with a game in hand. “I’m very happy because the team have taken a step forward. We are making progress and the team are playing very well. We don’t want to stop now because the season is far from over,” Alonso was quoted as saying on the club’s official website. “We feel fine and we’re having a fantastic run. We’re earning very good results and also playing very well. We’re concerned about doing a good job. If we do, we’ll have a greater chance of winning our games. Alonso is also fully aware that with more than half the campaign to go, there’s a lot of potential for slip-ups. Former Real Madrid striker Ronaldo hopes that the Santiago Bernabeu side will win both La Liga and the Champions League in the 2011-12 campaign. The Spanish giants currently sit top of the Primera Division table with 34 points from 13 games, while they qualified for the knockout stages of the Champions League from Group D without dropping any points. Ronaldo is hopeful they can keep up their good form, but declined to give his opinion on whether Jose Mourinho’s side have finally caught up to Barcelona. “I can’t say whether Real Madrid and Barcelona are of the same level or whether Madrid play even better than Barca. I can only say that I hope Madrid win La Liga and the Champions League, and beat Barcelona as well,” Ronaldo said to AS. Iker Casillas was paid tribute to before the derby kicked-off for earning his record 127th caps with the Spanish national team. The goalkeeper analysed the match for the media once it was over. Real Madrid coach Jose Mourinho has praised his side for managing to overcome city rivals Atletico Madrid in a professional manner, after they rallied from behind to earn a 4-1 victory at the Santiago Bernabeu. Adrian Lopez gave the visitors the lead after just 15 minutes but a double from Cristiano Ronaldo and further goals from Angel Di Maria and Gonzalo Higuain sealed the three points for Los Blancos against their nine-man opponents. The 48-year-old says his team’s all-round display during the derby meeting could not be faulted and he was happy not to see his players react negatively towards Atletico’s rough challenges. “My team wanted to win,” Mourinho told the club’s official website. “My men didn’t want to play an ugly or rough game. We wanted to win. We played to win and won, despite a little bruising. Madrid were dealt with some good fortunate early on as Atleti goalkeeper Thibaut Courtois was sent off for a challenge on Karim Benzema in the box, and Mourinho is of the opinion that the decision made by referee Mateu Lahoz was a correct call. “The challenge on Benzema was worthy of a penalty and a red card. The goalkeeper had to decide either to tackle the player or concede an unstoppable goal,” he continued. Mourinho then concluded by emphasising the need for his side to continue with the status quo, as they go into next week’s clash with Sporting Gijon on the back of a 13-game winning run. “My team always played well. It was ambitious and motivated. It was also emotionally controlled. We must now be patient and keep our vision. Our streak will eventually come to an end,” said the former Inter boss.